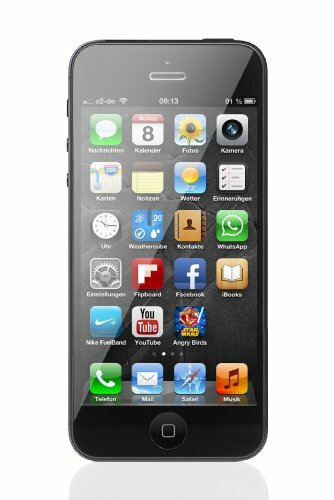 iPhone 5 or 6 - Which Is Better? There’s a lot of speculation out there at the moment about the coming of the iPhone 5S or the iPhone 6. Indeed, there’s also a lot of speculation about different possible models of new iPhones coming to the market - perhaps this year. One thing is for sure: the next iPhone will have to enter the market with a bang, and impress pundits and consumers a lot more than the iPhone 5 did. We’ve seen massive progress in telephone models over the last year. If you consider the massive leaps forward that the Galaxy S4 made for Samsung over the Samsung Galaxy S3, it’s clear how far technology has progressed in less than 12 months. The screen on the Samsung Galaxy S4 has 441 ppi, is full HD and super AMOLED. It is, frankly, stunning. The camera is also better, at 13 megapixels, compared to 8 megapixels on the previous version. In just about every regard, the Samsung Galaxy S4 is better than the Samsung Galaxy S3. In design terms, it is also a little bit different. With the i-Phone 5, it appeared it was a bit too close to the i-Phone 4S in many regards. Sure, it had a 0.5-inch larger display, but the display was still in the 4-inch range, and not probably what the majority of consumers would have wanted. It seems we’re looking at screens of around 5 inches as the ideal size for the market, at the moment. In terms of processor, the phone did improve on the previous model, but there is very little new innovation with the iPhone, considering the iPhone 5 was the only phone that Apple had to worry about not being involved in other areas of the market. It was quite astonishing to many that they didn’t do more. That is why the i-Phone 6 will have to be a phone that breaks new ground and re-launches the iPhone series. We don’t know yet whether the next i-Phone will be and iPhone 5S or and i-Phone 6. If the previous naming practice is anything to go by, then we’ll probably get an iPhone 5S, first. In some quarters, there are strong suggestions that we may get three phones: an in iPhone 6 mini, an iPhone 6 and also and iPhone 6XL. We expect to see a summer release for the next telephone models. Apple may well be looking for a bi-annual cycle, to enable upgrades more frequently. This will mean more new phones but, of course, they do have to overcome the challenges that have been reported about having bottlenecks in production capacity. For the sake of ease, we will call the next model the i-Phone 6. The casing is expected to be a mix of plastic and metal. The plastic could be on the outside and the metal would protrude through, giving a nice effect. There are rumours that there may be a cheap iPhone made available for as little as around £250. Analysts suggest that Apple may be going to Pegatron in order to manufacture these cheaper products. It appears that NFC, or Near Field Communication, will come with the i-Phone 6, but Apple is certainly behind in releasing NFC. We’re likely to see a new operating system and perhaps a pretty radical set of new features and interface. The design of the icons, and also the journey that the user goes on, will be different. New features should include AirDrop, iTunes Radio and Control Center. Perhaps, look at September/October for the new operating system’s release. We’ve seen a 128GB iPad, so why not new telephone models with 128GB, too? Will the iPhone get a massive amount of storage for users to put all their music and manage their lives? Only time will tell, but speculations suggest it may be possible. We’re looking at a full HD screen on the iPhone 6 and, perhaps, we will get a couple of different sizes. The Android market is clogged with terrific phones of different shapes and sizes and, so, to compete, surely Apple will need to diversify their offering. Certainly, we’re quite likely to see a larger version of the iPhone, with perhaps a 4.7-inch display, but, we may also get an even bigger mega-version at around 5.7 inches, too. We’re very likely to go up to a quad core A-7 processor from the dual core A-6. We’ll get better efficiency on the phone and, so, the battery life should improve. It’s likely we’ll see at least a 13 megapixel camera to compete with the rest of the market. The Samsung Galaxy S4 has set a new standard for mobile phone cameras and, so, the iPhone will have to at least meet this level of quality. It’s only Everything Everywhere that have 4G launched as of now. However, Vodafone, O2 and 3 will be putting their networks out to consumers, shortly. We should, perhaps, expect a better quality of 4G connectivity on the iPhone 6; and also, WiFi is likely to be 802.11 AC. When it comes to WiFi, Apple has always been ahead of the trend – at least until now – and, so, having this superfast WiFi connectivity is likely to be a cursoryaspect of the new phone. It really is important that telephone models evolve in order to compete in the market. Apple has done a great job of building a strong brand in the mobile market until now. However, the company must innovate and create in some pretty hefty ways, in order to re-invigorate their iPhone brand following some negativity. Indeed, Apple, as a whole, has struggled a little bit since the demise of Steve Jobs, and only time will tell whether they can recapture the glamour and invincibility factor that Apple once had. The iPhone 5 has been around a while now and, to be honest, it can look a little bit outdated when up against the newest models of other phones available in the smartphone segment today. The best phones on the market, at the moment, are the Samsung Galaxy S4, the HTC One and the Sony Xperia Z. For me, the Samsung Galaxy S4 is the best, with a better camera and a better display than the others; but, all three phones are absolutely cracking, and offer their users a seamless flow through browsing, streaming and music, and consumers can really be excited about the future of telephone models if these three are anything to go by. Ensure, when you’re getting your preferred telephone model, that you don’t just get fixated on the phone you want, but that you also get the right data allowances for your consumption needs. If you don’t get enough calls, texts or internet data, you could end up with pretty hefty bills when your month is up. It’ll probably be best to build a buffer into your contract - so you can deal with heavy-consuming months - in order to keep your overall costs down.